How does an arts organization utilize a systems-change mindset when evaluating their work? What are the challenges in translating the core values of a project to the core values of an organization? What are the barriers in thinking about systemic change? In this webinar Angela Han from Third Eye Cultural Collaborative will reflect on experiences working with organizations to create systemic change and embrace diversity, equity, and inclusive practices. The session will focus on ArtsBoston’s Audience Lab initiative and will also include observations from John Beck, ArtsBoston’s Deputy Director. Participants will discuss and reflect on the challenges and barriers to implementing systemic change within organizations. Participants will discuss and reflect on how systemic change can be implemented in the context of embracing diversity, equity, and inclusion in their work. Participants will gain an understanding of how cohort-based learning can encourage organizational change. Angela Han’s experience in the cultural sector has included local and national organizations in a broad range of capacities. She has worked as an executive director for an orchestra, a science educator for a museum, and a policy researcher for a national arts service organization. She has served on numerous grant and advisory panels including for the National Endowment for the Arts, the Institute of Museum and Library Services, Arts Education Partnership, and the New England Foundation for the Arts. Angela has and MBA in Arts Administration from the University of Wisconsin-Madison as well as degrees in physics and music. initiatives. He is a frequent presenter on audience development, data strategies in the arts, and the role of arts service organizations and has presented at the Association of Performing Arts Service Organizations Conference, National Assembly of State Arts Agencies, National Arts Marketing Project conference, and many local gatherings. Mr. Beck is on the Board of Company One Theatre, is a graduate of Tufts University, and has an adorable son named Chester. Projected changes in the American demographic landscape over the next three decades provide a pivotal context for considering ways that the arts field can recognize and address the need for increased diversity in arts leadership. While the need to build board diversity cannot be ignored, those charged with leading this kind of change may feel uncertain on how they can effectively increase board diversity in their institutions. In this webinar, participants will hear from leaders who have been deeply involved in this work, and who will share their personal successes and challenges. These case studies will guide participants toward practical strategies to increase board diversity within their institutions. After this session, participants will be able to create a simple, step-by-step process for building a diverse board and will have access to additional resources and tools to further design a strategy to increase their board's diversity. Anika Kwinana is an artist and arts manager who is passionate about the role of the arts in supporting educational and community development. Anika lived in Port Elizabeth, South Africa from 2001 - 2014, where she spent six years as music & arts director for a diverse, 5,000-member religious organization, leading more than 100 volunteer singers, musicians, actors, literary artists, visual artists, dancers, and technicians in multiple weekly performances. She produced, wrote for and performed on two live CD-DVD projects, and oversaw concerts, conferences and facility rentals. Anika’s cultural anthropology research on the impact of hip-hop culture on South African youth first brought her to the country. She spent her first six years there as a manager, facilitator and fundraiser for community-based youth, HIV-AIDS, and women’s empowerment non-profit organizations. While returning to the U.S. in 2014 had its challenges, Anika continued to work in the arts, holding down three part-time jobs: selling performance subscriptions, managing front of house, and producing theatre. In 2015, she accepted a full-time administrative position at a higher education association, where she was quickly promoted. For three and a half years, Anika led their STEM college and career fairs program. Her work entailed concept development; event management; committee oversight; program design and implementation; and, partnership-building. Anika is now Manager, National Partnerships at The John F. Kennedy Center for Performing Arts. The program provides leadership and professional learning through conferences, educational seminars, online opportunities, resources and technical assistance. Anika holds an M.A. in Arts Management from George Mason University, where she received the 2018 Capstone of the Year Award for her research entitled “Beyond a Seat at the Table: Diversity in Arts Organizations.” She is a board member and treasurer for the Arts Administrators of Color Network, where she recently moderated and participated on the panel, “The State of Racial and Cultural Diversity in Arts Leadership” at their Annual Convening. Tony Allegretti served as the Executive Director of the Cultural Council of Greater Jacksonville from 2014 to 2018. During this time, the direct economic impact of the Cultural Service Grant funded organizations served by the Cultural Council has grown from $58 million to $83+ million, and from twenty-one organizations to twenty-seven. 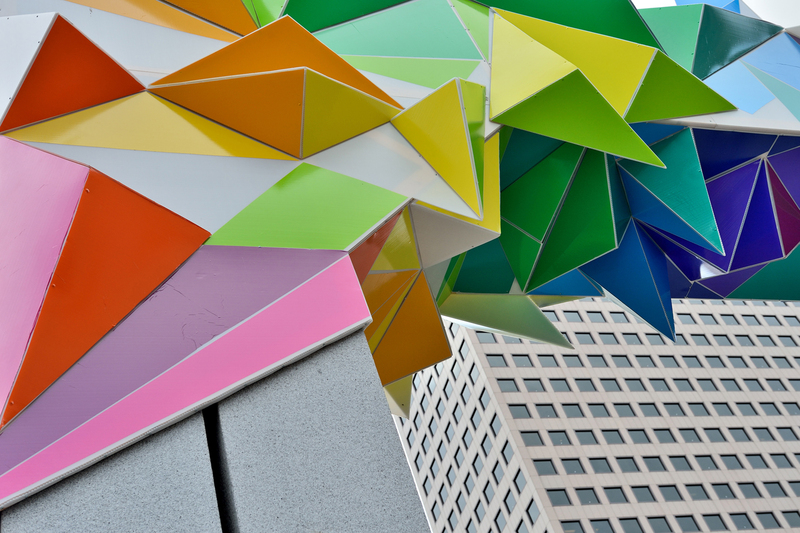 Under Allegretti’s leadership Art in Public Places has advocated and earned nearly $2 million in new and reallocated public art funding, including new works in neighborhoods that do not feature public art. The Cultural Council has also invested more than $250,000 in grants and professional development to local artists and small arts organizations over the last three years and ushered in another $150,000 specifically for diversity and inclusion and access to art and culture. Since the Cultural Council has adopted its Cultural Equity Commitment under Allegretti's leadership, African American board participation at Cultural Service grant funded organizations has increased 400%. In 2018, 69% percent of those organizations increased African American participation. More than 150 students of color have completed the curriculum of Career Pathways to jobs in arts and culture. More than 90 students of color have completed Cultural Service Internships (paid) in Cultural Service organizations. Previous to this position, Tony was Director of Downtown Engagement for JAX Chamber. In 2004, Tony won the individual award from the Cultural Council of Greater Jacksonville for his work establishing the First Wednesday Art Walk with Downtown Vision. He was also the Founding Director of the Riverside Arts Market and created Community First Saturdays Downtown. He is a stakeholder and entrepreneur with his partnerships at Burrito Gallery, Uptown Market, and BREW. Tony currently serves on the Board of Visit Jacksonville, Downtown Vision, Any Given Child, United States Urban Arts Federation (Executive Committee), Urban Education & Policy Center, and has also served on the Jax Chamber Board of Governors, as well as Jax Area Legal Aid and was a founding board member of the Downtown Investment Authority. Tony lives on the edge of San Marco with his wife Tammy, one young vocalist, and one young soccer star. What does Arts Management look like? Diverse? This Expose and Guide is the right on the money! In this live event, participants will have an opportunity to engage with two experts in the field on managing requests for monuments and memorials. From your community, council members or other stakeholders, the requests to memorialize an individual or event can be challenging to navigate. Through this event, attendees will have an opportunity to connect with Barbara Goldstein, who developed the memorials and monuments policy for the City of San Jose, California and C. Ryan Patterson, who manages requests through a donations policy within the City of Baltimore, Maryland. Barbara Goldstein is an independent consultant focusing on creative placemaking and public art planning. She is the former Public Art Director for the City of San Jose Office of Cultural Affairs and editor of Public Art by the Book, a primer published by Americans for the Arts and the University of Washington Press. Ms. Goldstein has directed the public art programs in Seattle and Los Angeles, worked as a cultural planner, architectural and art critic, editor and publisher. She has lectured and participated in workshops on public art in the United States, Japan, China, Taiwan, Korea, Canada the Netherlands and Abu Dhabi. She is past chair of the Chair of the Public Art Network for Americans for the Arts. Ms. Goldstein has consulted with cities, developers and public agencies in Pittsburgh, PA, Pasadena, CA, Charlotte, NC, Las Vegas, NV, Palo Alto CA, and Orlando, FL.. In 2013, she led a series of webinars entitled Creative Placemaking and Public Art for Americans for the Arts. She is currently developing public art and cultural plans for Bay Area Rapid Transit and the City of Glendale, CA. Ms. Goldstein has written extensively about public art and architecture and was editor an publisher of Arts + Architecture magazine from 1980 to 1985. She has served on the Board of Directors for ArtSpace and Friends of the Schindler House and the Advisory Board for Forecast Public Art. She is currently a Board member of MACLA, Movimiento de Arte y Cultural Latino Americana, and ZERO1: the Art and Technology Network, where she serves as Chair. In 2015 Ms. Goldstein was a Fellow in Stanford University’s Distinguished Careers Institute where she also served as Scholar in Residence for the School of Chemical and Systems Biology. As Public Art Administrator at the Baltimore Office of Promotion & The Arts (BOPA), C. Ryan Patterson manages the operations of Baltimore's Percent-for-Art program, the care of the city's public art collection, and serves as staff to the Public Art Commission. He has served as project manager for temporary installations and performances at Artscape, Baltimore Book Festival and Light City and worked with Open Space Baltimore to organize the Artist Run Art Fair since 2014 and served as the Chair of the Light City Sustainability Committee. He helped establish Mayor Stephanie Rawlings Blake's Special Commission to Review Confederate Monuments in 2015 and was one of the authors of the report issued by the Commission in August of 2016. He currently serves BOPA's representative on the Mayor Catherine E. Pugh's Confederate Monument Task Force and oversees the Monumental Sites Call for ideas to activate and reinterpret the sites of the former monuments. Ryan received his BFA in General Sculptural Studies from the Maryland Institute College of Art in 2006, where he was awarded a France Merrick Foundation Fellowship in Community Arts. 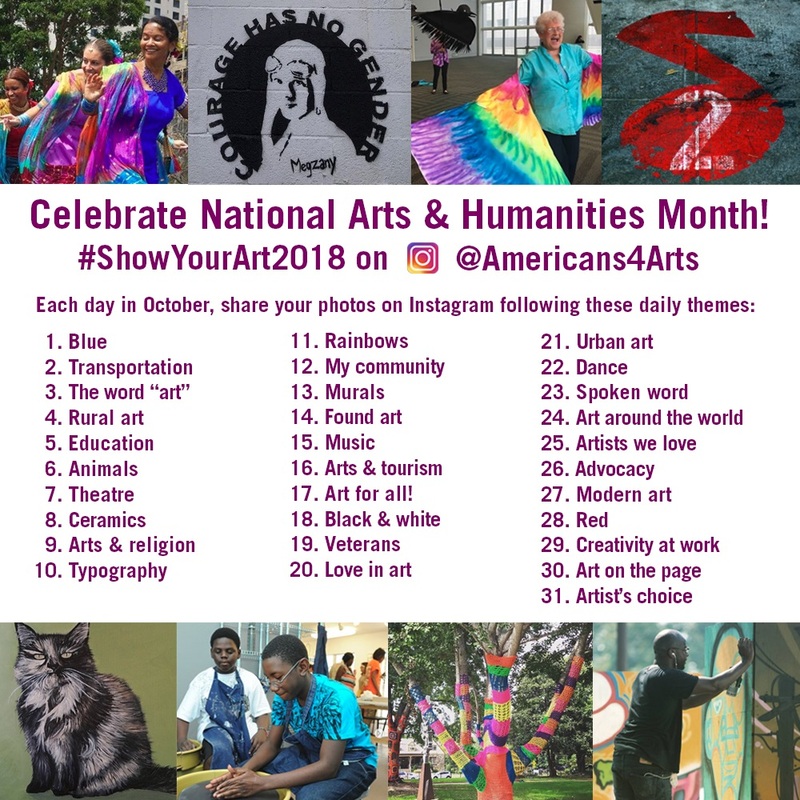 Patricia Walsh joined Americans for the Arts in 2014 where she works to empower public art professionals, artists and other stakeholders in the implementation of public art in their communities by supporting best practices, case studies, resource development, and peer-to-peer networking. In her role at Americans for the Arts, Patricia has grown the annual Public Art Preconference to over 300 attendees, moderates the 400+ membership-based Public Art Network, and travels frequently to communities across the country to engage and learn from her colleagues working locally. She designed the Public Art Resource Center, an online portal to increase access to tools, resources, and opportunities for those making public art happen in their communities. She manages partnerships with Smart Growth America/Transportation for America and the American Planning Association and continues to develop strategies to engage allied fields to cultivate policy and practice that supports public art in the built environment across the country. Prior to arriving in D.C., Patricia lived and worked in many communities across the U.S. She held positions in public art for the Arts Commission for the City of Las Vegas and the City of San Jose Public Art Program. She served on the City of Palo Alto Public Art Commission, as a committee member for genARTS Silicon Valley, an initiative of the Arts Council Silicon Valley dedicated to serving emerging leaders and volunteered with the City of Oakland public art program. Born in Vermont, Patricia grew up near Poughkeepsie, New York, holds a Master of Science in Arts Administration from Boston University and a Bachelor of Arts in painting from State University of New York at Plattsburgh. She has also enjoyed time living in Santa Fe, New Mexico. Join Randy Cohen, Vice President Research & Policy with Americans for the Arts, for a webinar about new data from the "Americans Speak Out About the Arts in 2018" study, which provides an in-depth look at the perceptions and attitudes about the arts in the United States. It’s undeniable—the arts transform people and communities every day. But how do Americans feel about the arts? Do they value artistic activities and arts education? Do they feel the arts are an important part of their lives and do they support government funding for the arts? There’s no need to guess at the answers for these questions! Join Randy Cohen, Vice President Research & Policy with Americans for the Arts, for a webinar about new data from the "Americans Speak Out About the Arts in 2018" study, which provides an in-depth look at the perceptions and attitudes about the arts in the United States. Based on more than 3,000 interviews and conducted in partnership with Ipsos Public Affairs, this study documents the public's personal involvement in the arts, the individual and community benefits that come from engaging in the arts, and the public's support for arts education and government arts funding. Participants will learn the latest facts and figures from the "Americans Speak Out About the Arts in 2018" national poll documenting the public's personal involvement in the arts, the individual and community benefits that come from engaging in the arts, and the public's support for arts education and government arts funding. Optimizing your website doesn't always mean a complete redesign. This session will equip you with strategies and methodology on how you can make small changes to your website that deliver big results. You'll learn how to achieve the highest return on your efforts and how to track the results. You'll leave this session with concrete and achievable takeaways that you can implement right away on your website. The Private Sector Network is open to all Americans for the Arts members who are interested in programming related to the intersection of arts and business. Conference calls serve as a way for members to connect regularly, learn about initiatives that engage the private sector and learn from colleagues. This is the third installment of our 2018 quarterly Private Sector Network Conference Calls focusing on the topic: Equitable Funding Models and the Creative Economy. This year’s series focuses on the creative economy, what it means, and what program models exist that can serve as examples for how to explore this work in your community. Participants on this call will have the opportunity to hear from Kerry Adams Hapner, Director of Cultural Affairs for the City of San Jose, as she discusses San Jose’s Creative Industries Fund. We’ll also hear from Kristin Larsen, Executive Director of the Arts & Business Council of Chicago will discuss the Arts & Business Council’s work to identify imbalances in equitable access to arts and culture, and funding and engagement opportunities for arts and culture institutions serving African, Latino(a), Asian, Arab, and Native American (ALAANA) populations. Want to join this call, but aren't a member? 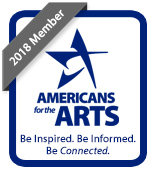 Visit the membership page of our website or reach out to our membership team at (202) 371-2830 or membership@artsusa.org to become a member and join this call. Kristin Larsen is the Executive Director of the Arts & Business Council of Chicago. Kristin was the Executive Director of Remy Bumppo Theater Company from 2002 to 2012 and most recently the Executive Director of Stage 773, a performance venue in Lakeview. Kristin has her BFA in production management from The Theatre School, DePaul University and her MA in facilitating organizational effectiveness in the arts from DePaul University’s School for New Learning. Kristin volunteers with DePaul’s Alumni Sharing Knowledge program, the Joseph Jefferson Awards Committee, and the Unitarian Church of Evanston, where she is also a member. As an only child growing up in unincorporated Will County, she participated in all sorts of art making. Left to her own devices, she was often found slathering mud on boards and affixing such things as wildflowers, pebbles and bird feathers. Today her art making includes gardening, needlepoint, and elaborate EXCEL spreadsheets. If you think Kristin can be of service, please connect with her. If you don’t reach her straightaway, she’s likely out of her mobile’s service area camping, canoeing and stargazing. The mission of the Office of Cultural Affairs is to champion the arts and cultural vitality for San Jose’s one million ethnically diverse residents and its visitors. Her portfolio includes public art, creative placemaking, special events, cultural funding, convention and cultural facility management, creative entrepreneurship, conventions and visitor bureau, and the creative economy. In 2014 and 2015, Kerry was named one of the most powerful and influential leaders in the United States’ nonprofit arts sector in Barry’s Blog, published by the Western States Arts Federation. Kerry earned her degree in art history and business administration at UCLA. Currently, she is pursuing an interdisciplinary master in liberal arts degree at Stanford University. When speaking to decision-makers, particularly public sector officials, the subject of return of investment in public dollars frequently arises, along for the need for easy-to-read data from reputable sources as evidence. In an effort to strengthen the economic impact of the arts and culture sector the Arts and Cultural Production Satellite Account (ACPSA) was developed via partnership with the Bureau of Economic Analysis (BEA) and the National Endowment for the Arts (NEA). ACPSA allows users to track economic activity, as well as the overall impact of arts and culture on U.S. and state economies. Using the 2015 ACPSA data, the National Assembly of State Arts Agencies (NASAA) then developed an interactive dashboard allows you to explore state-level ACPSA data through figures. When speaking to decision-makers, particularly public sector officials, the subject of return of investment in public dollars frequently arises, along for the need for easy-to-read data from reputable sources as evidence. The Arts and Cultural Production Satellite Account (ACPSA) was developed through a partnership with the Bureau of Economic Analysis of the United States Department of Commerce (BEA) and the National Endowment for the Arts (NEA) in a concerted effort to illustrate the economic impact of the arts and culture sector. ACPSA allows users to track economic activity, as well as the overall impact of arts and culture on U.S. and state economies. Using the 2015 ACPSA data, the National Assembly of State Arts Agencies (NASAA) then developed an interactive dashboard that allows you to explore state-level ACPSA data through visually impactful charts and figures. After delving deeper into the impactful ACPSA data and resources from the NEA and NASAA, state arts leaders will discuss how they are already using the tools in their programmatic, policy, and outreach work. This presentation is jointly curated by Americans for the Arts and the National Assembly of State Arts Agencies, with special remarks from the National Endowment for the Arts. Sunil Iyengar directs the Office of Research & Analysis at the National Endowment for the Arts. Since his arrival at the NEA in June 2006, the office has produced more than 25 research publications, hosted several research events and webinars, twice updated the NEA's five-year strategic plan, and overseen a new and expanded survey about arts participation. In that time, the office also has created an arts system map and long-term research agenda, and has launched a research grants program. Sunil also chairs the Interagency Task Force on the Arts and Human Development. Some of the NEA’s most recent research includes Valuing the Art of Industrial Design (2013), The Arts and Achievement in At-Risk Youth (2012), An Average Day in the Arts (2012), and The Arts and Human Development (2011). Sunil and his team have partnered with organizations such as the Brookings Institution, the National Academy of Sciences, and the National Institutes to Health to study the arts in relation to such topics as economic development and the health and well-being of older adults. For a decade, Iyengar worked as a reporter, managing editor, and senior editor for a host of news publications covering the biomedical research, medical device, and pharmaceutical industries. He writes poetry, and his book reviews have appeared in publications such as the Washington Post, New York Times, San Francisco Chronicle, The American Scholar, The New Criterion, Essays in Criticism, and Contemporary Poetry Review. Iyengar has a BA in English from the University of Michigan in Ann Arbor. Ryan Stubbs directs NASAA’s research team to provide high-quality information for the benefit of state arts agencies and the arts and culture field. His areas of expertise include public funding for the arts, state policy and the creative economy as well as state arts agency funding, services, operations and grant making. He oversees a research portfolio that includes dynamic data visualization tools, field surveys and research customized to the needs of state arts agencies. Ryan also represents state arts agencies and NASAA at state, regional and NASAA research forums and serves as NASAA’s primary research liaison to federal agencies, foundations, consultants and scholars conducting research on public support for the arts. Ryan has more than 10 years of professional experience in the field of arts research. Prior to joining NASAA, he served as the director of research for the Western States Arts Federation, where he specialized in analyzing state and local creative economy data, implemented web based research technology and launched an initiative aimed at supporting independent music. Ryan has experience in state government as a capital construction analyst for the Colorado Department of Higher Education and in economic development as a business manager for Adams County, Colorado. He holds master’s degrees in public administration and urban and regional planning with an emphasis in economic development planning from the University of Colorado, Denver. Ryan serves on the board of directors for his local community development corporation and is on the steering committee for the Cultural Research Network. Ryan considers himself a musician of questionable accomplishment and lives in Mt. Rainier, Maryland, with his daughter, Wren, and his wife, Robin—an unquestionably accomplished visual artist. A two-time Enlightened 50 (E-50) recipient from the Community Foundation of Utah, Crystal Young-Otterstrom is a certified Utah Change Leader, was named one of Utah Business Magazine’s 40 under 40 in 2013, and has been featured as a Utah’s Educated Woman of the Week and profiled in the publication, IN Utah This Week. Crystal is the Executive Director of Utah Cultural Alliance, the statewide advocacy voice for the arts, humanities, and cultural businesses of Utah. C Crystal serves on the boards, advisory councils, or steering committees of Salty Cricket Composers Collective (co-founder and board chair), Utah Democratic Party Treasurer (an elected position), Americans for the Arts’ SAAN Council (State Arts Advocacy Network), Utah Women & Politics PAC, LDS Dems of America (emeritus co-chair), LDS Dems-Utah (emeritus chair), one of the managing editors of MormonPress.com, BYU Political Affairs Society - UT chapter (co-chair), Utah Arts & Cultural Coalition, Alliance for a Better Utah, Musinia, UTOPIA Early Music, and Planned Parenthood Association of Utah. Crystal serves on the School Community Council of Emerson Elementary, which is the decision making body for the school. Past work experience: Crystal spent eight years as a marketing, campaign, and event planning consultant at Brand.Pink and was the Audience Development Manager at Utah Symphony | Utah Opera for seven years before that. Crystal is a composer and coloratura soprano. She earned her bachelors in music theory with minors in humanities, economics, and marketing as an undergrad at Brigham Young University and earned her masters in musicology and composition from the Aaron Copland School of Music (Queens College, City University of New York). Garbo Watson Hearne owns Hearne Fine Art and Pyramid Art, Books & Custom Framing/Hearne Fine Art, located in the historic Dunbar neighborhood in Little Rock, Arkansas. She developed Hearne Fine Art in the New York and Atlanta markets and expanded its services to include cataloguing and fine art appraisals. In 2005, Hearne earned her certification in appraisal studies from New York University. In 2008, she and her husband, Dr. Archie Hearne, published Collaborations, Two Decades of African American Art: Hearne Fine Art 1988 – 2008. Before opening Pyramid Gallery in 1988, Hearne worked as a pediatric intensive care nurse at Arkansas Children’s Hospital. She is a board member of the Mid-America Arts Alliance has served on the board of the Arkansas Humanities Council. She received a B.S.N. in nursing from the University of Arkansas at Fayetteville. Join Stephanie Johnson-Cunningham, Co-Founder & Creative Director of Museum Hue, as she discusses the importance of psychological safety. She will also discuss how Museum Hue, which has created a community of creatives from all over the world, has helped create such space for people of color through the arts sector. Creating an environment where people feel comfortable taking risks is key to fostering cutting edge, forward thinking organizations. In this regard, the term “psychological safety” is becoming more widely used as it relates to the workplace and groups. This is partly thanks to a study in which Google identified psychological safety as the most important factor in creating a great team. Join Stephanie Johnson-Cunningham, Co-Founder & Creative Director of Museum Hue, as she discusses the importance of psychological safety. She will also discuss how Museum Hue, which has created a community of creatives from all over the world, has helped create such space for people of color through the arts sector. Participants will learn about the concept of psychological safety. Participants will learn about Museum Hue and their work in creating psychological safe spaces, its benefits and challenges. Stephanie is an agent for arts and culture forever in a state of exploration, investigation, preservation, and creation. She works to paint a larger portrait of the arts world and introduce new ways of seeing and thinking about arts and culture. Stephanie utilizes museums and other cultural entities as a medium for discussions, but her messages transcends beyond gallery walls and performance halls to spark curiosity, create an echo chamber, demystify the field, and reflects on power and privilege as it relates to the arts sector. She is also the Co-Founder and Creative Director of Museum Hue, an organization dedicated to the advancement of people of color through the arts. Stephanie has written about her work for Curator: The Museum Journal, Museums and Social Issues Journal, and the Center for the Future of Museums blog as well as headlined talks at the American Alliance of Museums and Museum Next conferences. Through this webinar, explore how artists can be a vital part of community engagement and the development of a civic space planning process. Through the example of bulidingcommunityWorkshops (BCWorkshops) in Dallas, Texas whose tagline is design justice through community engagement, learn how to incorporate artists within a civic design planning process. Through this webinar, explore how artists can be a vital part of community engagement and the development of a civic space planning process. Through the experinence of bulidingcommunityWorkshops (bcWorkshops) in Dallas, Texas who focus on design justice through community engagement, learn how to incorporate artists within a civic design planning process. To provide practices and examples of integrating artists in community engagement processes for planning and design of civic spaces. After registering, be sure to check out further resources and handouts in the tabs above. You can download a PDF of this presentation in the "Handouts" tab and see additional resources on the "Resources" tab. Lizzie MacWillie is an Associate Director at buildingcommunityWORKSHOP. Lizzie heads up People Organizing Place (POP), the participatory city shaping initiative of [bc] that positions local stakeholders as experts to proactively shape their neighborhood’s future. Lizzie brings to the team critical design experience managing [bc]’s multi-year creative placemaking initiative, Activating Vacancy, an initiative focused on bringing people together to share food, stories, art, experience, and histories as well as enabling neighbors to talk, to learn, and to organize. This activation leads to cultural, physical, and political changes that can revitalize neighborhoods, improve infrastructure and bring economic benefits to residents. Prior to joining [bc]in her current role, Lizzie was a part of OMA/AMO in Rotterdam, NL, as aneditor of “Elements of Architecture” by Rem Koolhaas, a collection of books about 15 basic units of architecture. She received a Master of Architecture in Urban Design and a Master of Design Studies in Art, Design and the Public Domain from Harvard’s Graduate School of Design, and a Bachelor of Architecture from Carnegie Mellon University. Patricia Walsh joined Americans for the Arts in 2014. She works to empower public art professionals, artists and other stakeholders in the implementation of public art in the built environment through the use of best practices, case studies, resource development, and peer-to-peer networking. to over 300 attendees, moderates a 400+ membership network of public art professionals and travels frequently to communities across the country to engage and learn from her colleagues working locally. She manages partnerships with Smart Growth America/Transportation for America and the American Planning Association, and continues to develop strategies to engage allied fields to cultivate policy and practice that supports public art in communities across the country. Born in Vermont, Patricia grew up near Poughkeepsie, New York, holds a Masters of Science in Arts Administration from Boston University and a Bachelor in Arts in painting from State University of New York at Plattsburgh. She has also enjoyed time living in Santa Fe, New Mexico. Google Analytics Session 2: What Am I Looking At?